Everyone has had to deal with sore muscles after a hard workout and wondered how to improve recovery. But some people seem gifted with the ability to recover in miraculous time. They push past the rest of the pack and still manage to get back out there before anyone else. It’s almost like they are built from different stuff than the rest of us. But the truth is that most of their magic actually comes down to cold, hard science. Some of it does come down to genetics but more than anything it takes the adherence to a strict code of conduct. While not a miracle cure, these methods give people at any level of fitness or stage of life a way to improve their recovery time. By following a few steps, most of us can drastically improve our recovery time without using steroids or dangerous performance enhancers. They’re pretty easy to do out the gate but can be tough to remember if you are accustomed to doing something different. It comes down to lifestyle changes, not quick fixes though. Just remember that series of small actions repeated enough times inevitably results in drastic changes. There are a nearly infinite number of reasons people don’t get more sleep. To make things worse, our sleep needs are all different. Some people can feel energized getting 6 hours of sleep while others are salty with anything less than 10. But making sure to get enough sleep to feel rested is a key factor for recovery after practicing. Building muscle is tough work but so is repairing the damage that comes to joints and bones during strenuous exercise. Adding a few extra sets at the gym or another mile to a run will add significantly more wear and tear and generally need more time to fix. But our bodies naturally repair better when well rested. Our bodies go into super repair mode while we sleep. So getting some shut-eye is a great way to reduce recovery time. Even getting a nap a few hours after a hard workout can give a body the boost it needs to keep working at peak performance. Keeping the nap under 20 minutes also helps keep you alert. Here’s how to improve recovery through diet. Consume protein before and after a workout to prime the body with the essential nutrients it needs to effectively build and repair muscles. The post-workout protein keeps the gas tank full for repairing any damage. Having some protein in the digestive tract before a workout ensures the body can draw the nutrients it needs from the food instead of the stored reserves in the body. Runners will also want to ensure there are enough carbs (i.e.oatmeal, beans, and whole grains) going through their system to support them over the long haul. Without enough quality nutrients in the digestive tract, body systems naturally overload or perform at reduced capacity. It’s a built-in way for our bodies to perform under stress but burns up the internal machinery quickly. Without enough protein and carbs the digestive system, muscles have to draw from other sources (like organs and bones) to make repairs. Over time, this puts a significant strain on key infrastructures like the heart and liver. The extra energy also provides a welcome boost to power through those last few reps or laps. Another way to improve recovery is by warming up before working out. Warming up gives the muscles time to stretch and loosen up which and increases blood flow. This leads to significantly fewer injuries in the gym than the alternative. Increased blood flow also helps remove lactic acid and other metabolites from muscles during a workout more effectively. With each flex causing less wear and tear, athletes can perform better over longer periods. Reducing damage is a major key in how to improve recovery. A quick and fluid warm-up before a big lift or long run allows athletes to gauge their bodies before pushing them to the limits. A spark of pain in a warmup could easily be a catastrophic failure during a lift. In this way, warm-ups are like a safety check on your body, ensuring it is ready to perform as desired. The extra circulation also helps deliver oxygen to cells which can reduce the damage they take during strenuous exercise. Less damage also means less inflammation and recovery time afterward. 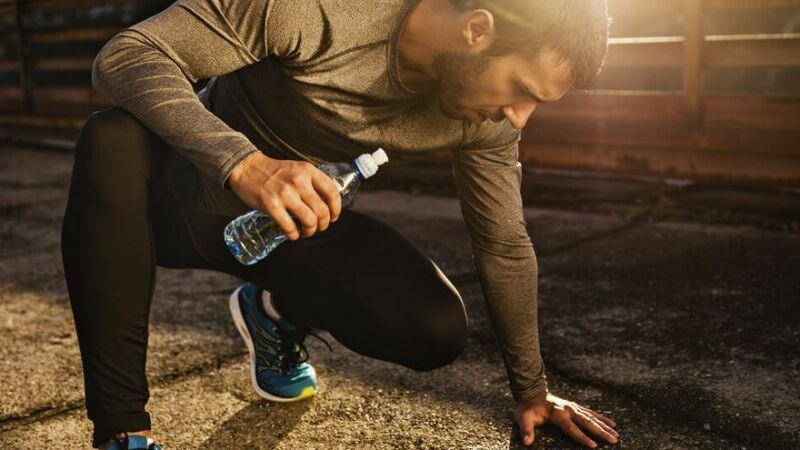 So taking a moment to properly warm up before every workout can help avoid crippling injury. A great workout pushes the body past the comfort point but stops just shy of causing harm. The feeling of breaking a personal record or goal is unmatched but can leave muscles tighter than normal. But routinely pushing muscles into the red zone can increase tension even further and cause them to knot up. If left unaddressed, knotted muscles can actually generate additional tears in the fibers. The tightness of the muscle can also reduce the amount of blood-flow, preventing efficient recovery. The effect of this is cumulative tension and can cause additional permanent issues like Tennis Elbow and shin splints. Getting a good massage from a professional can be expensive and generally gives the best results. But just because a private masseuse is out of the budget doesn’t mean a massage is impossible. Foam rollers are relatively easy to use and provide a low-impact way to relieve the tension before it becomes a problem. There is a fine line between maximizing gains and overtraining. It’s tempting to push through any pain in order to hit that next goal. The ability to push through adversity is one of the things that separates competitors from champions. The more competitive the athlete, the more important it is to understand how to improve recovery. But pushing too hard will lead to catastrophic injury. Sprained ankles, torn muscles, and snapped tendons are common with high-level athletes. But amateurs can break themselves just as easily if they don’t follow a plan and increase their strain slowly. It’s great to start running for health but counterproductive if it results in torn ligaments and sprains. Part of staying safe is knowing how to improve recovery before pushing the limits again. Training different muscle groups on different days is a great way to monitor the intensity of workouts and adjust each for optimum gains. It’s a lot safer to push and monitor the effects than simply charging ahead without a second thought. https://www.scientificamerican.com – Stephen M. Roth – Why Does Lactic Acid Build Up in Muscles? And Why Does It Cause Soreness? https://www.livestrong.com – Rachel Nall – Why Are My Muscles Extremely Sore After Exercise?